« Are there hidden fees when dealing with a mortgage broker? Is there such a thing as zero down payment when you buy a house? It’s actually a great question, and it was actually very, very common back in 2007. They were doing a lot of zero down payments, and it was a true zero down where if the purchase price of the property was $300,000, you could do it with zero down. So you had a mortgage of $300,000 plus your insurance fee, so it had to be CMHC insured or General if they were account a guarantee, but it would have been General with CMHC at the time. You would add that (the insurance fee) on top of your purchase price, and you’d finance that whole amount. I believe they took it away in 2008 but there was still ways back then we were able to get a no down payment mortgage with what they called a free down payment program or a flexible down payment. We had about five to six lenders or banks that would actually give you a cash back on your mortgage that you were allowed to use as your down payment. So they would give you a 5% cash back, and you could use that as a down payment on your mortgage. All that (the possibility of zero down payment mortgage) lasted only about six months or so. It’s gone. So there is no zero downs like that anymore, but I do still have one lender that will do the flex down payment program. What is a flex down payment mortgage? What the flex down payment program means is that you can use borrowed funds. So the strategy that I have been using with a few of my clients with a great deal of success is to get them a credit line. So if you have good enough credit that you would qualify for an unsecured credit line, you would be able to get that credit line and use those funds as your down payment effectively financing your down payment again. In that $300,000 example again, as long as you qualify for around $15,000 unsecured credit line, we would use that for your down payment. It works very, very easily and I have done it successfully a few times now. Just keep in mind that you still have to have some of your own savings set aside for closing costs which maybe that’s something else we can discuss at a different time but you would want to have you know, say $2,000 or $3,000 saved up aside from having the funds available on your credit line just to cover off things like your legal fees, movers, inspectors, that kind of stuff, but essentially that’s how it works. It’s pretty easy. Just one more thing. 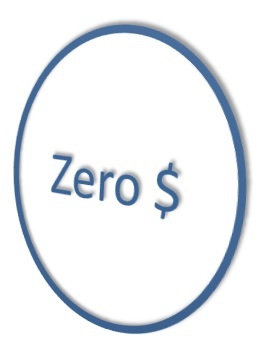 As we did see, the zero down went away, and the cash backs went away, and we are down to one lender that will allow us to use your credit line in order to do this. I would suspect it’s not going to be around for very much longer, maybe a few more months and it will probably be gone as well. This is really good to know, so if you have good credit, but you don’t have the money, really it is a good time to buy, so you should use any kind of resource just to get in the market. Contact Dave today to see if you would qualify for a No down payment mortgage.